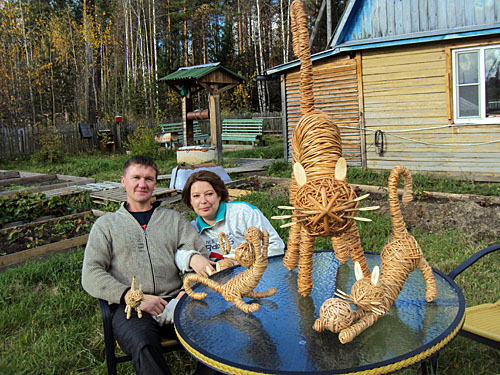 As a child, Vladimir Sudarkin had two passions: artistic gymnastics and crafts – cutting wood, knitting, modeling, etc. 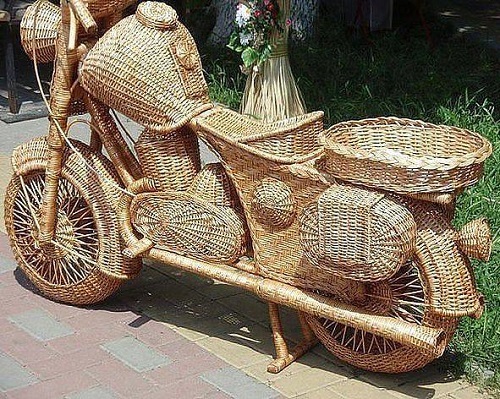 Somehow he got a book on Basket weaving. 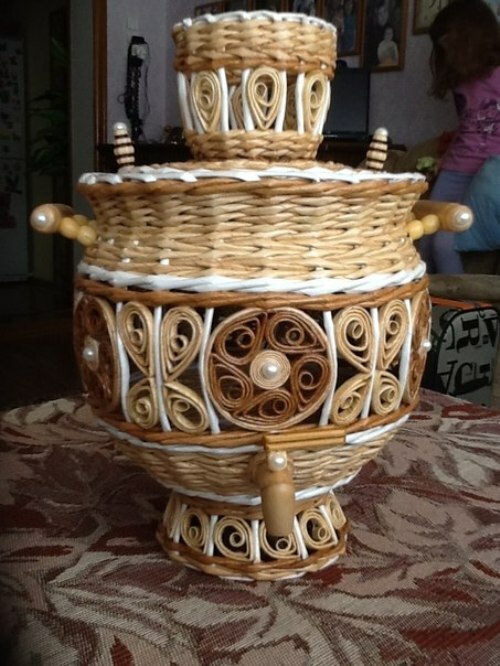 He went into the woods, cut willow ​​vines, chose sketch of lampshade and all night was creating it, trying to get a desired shape. 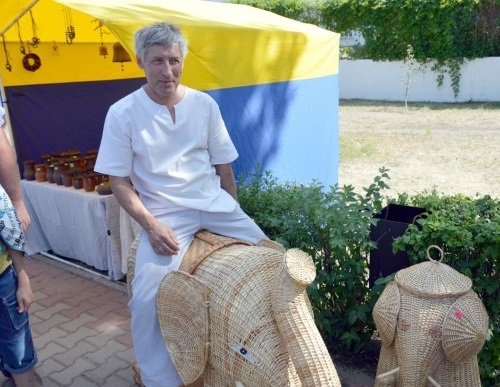 All the things that Sudarkin makes, otherwise than a work of art can not be called. 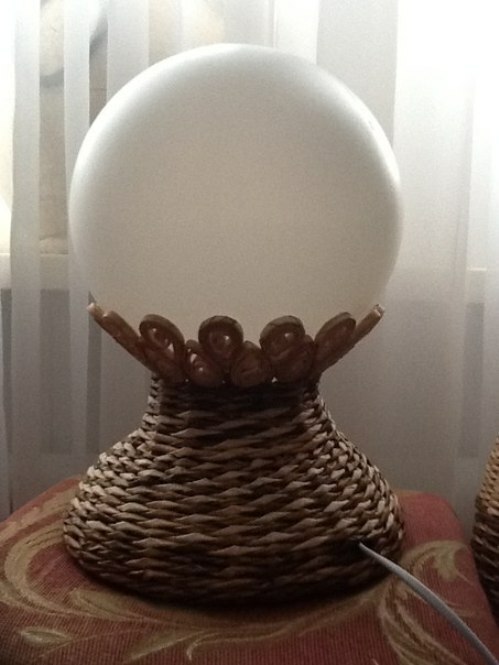 And like any artist, he never makes copies, all is exclusive. 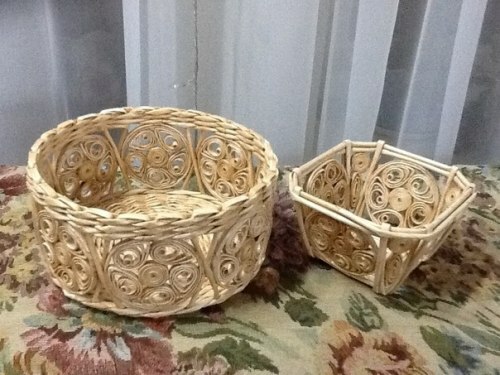 Even the baskets, from which he started, never repeat one another. 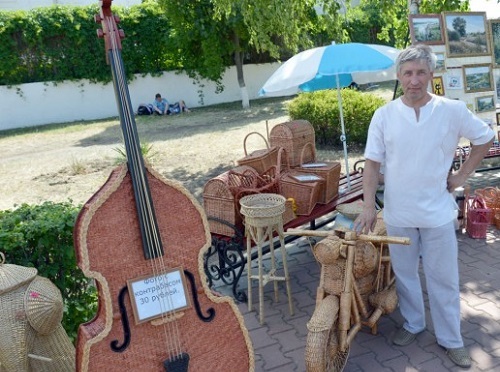 But willow weaving is just a hobby for Sudarkin, he teaches gymnastics at school, and hopes that willow weaving art, existing in the world since the Neolithic period will not be forgotten. 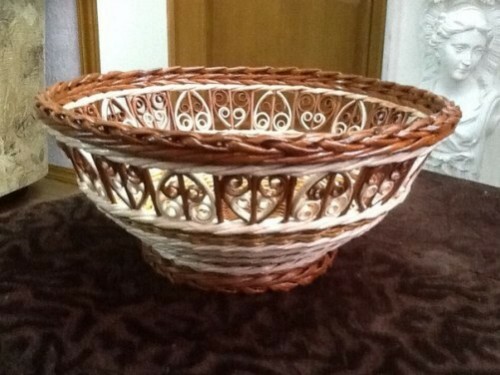 Basket weaving – Crafts of plaiting vines: Utensils and containers for various purposes, such as boxes, baskets, vases, etc., furniture (tables, chairs, chests, cradles), etc. 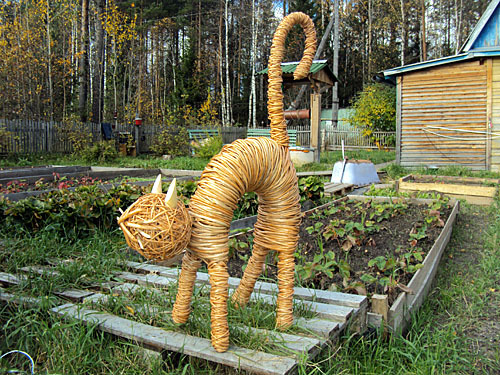 Under the vine is meant any natural material of plant origin, capable of bending under certain processing, and under normal conditions to hold the form. 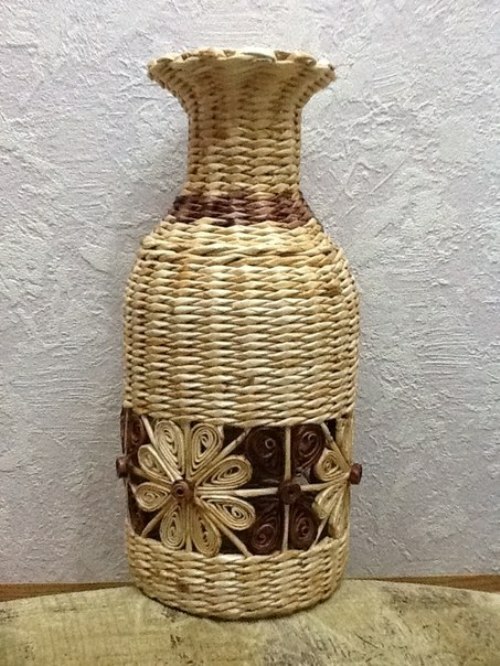 Material name – “vine” comes from the vine, from which wove baskets. 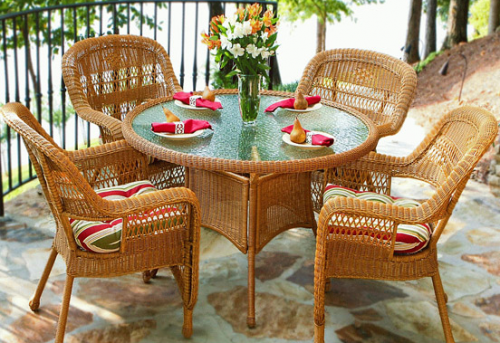 In Asia weave material is rattan and bamboo. 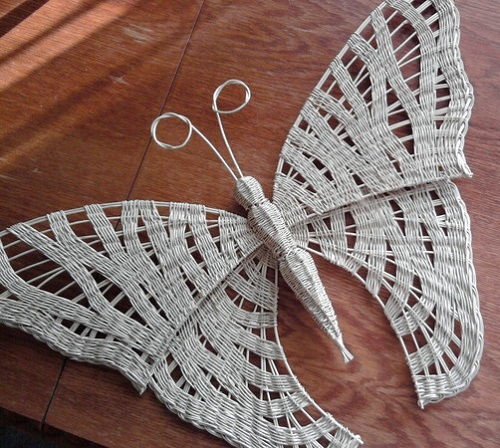 Weaving as a craft has a long history and it came earlier than metal and wood processing. 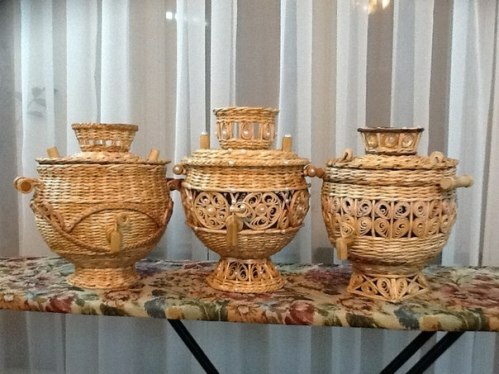 It traces its roots to the Neolithic or Stone Age, during this period in different parts of the world people began to make mats, containers, baskets and tools for fishing and hunting. 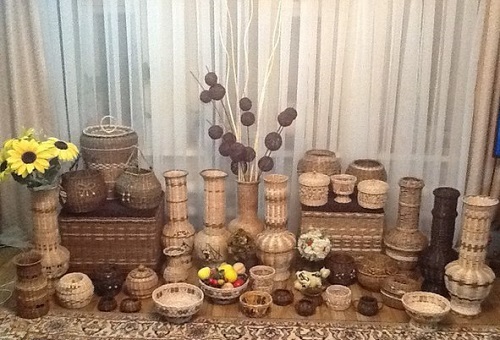 With the walls of the houses were built of weaving for home and household. 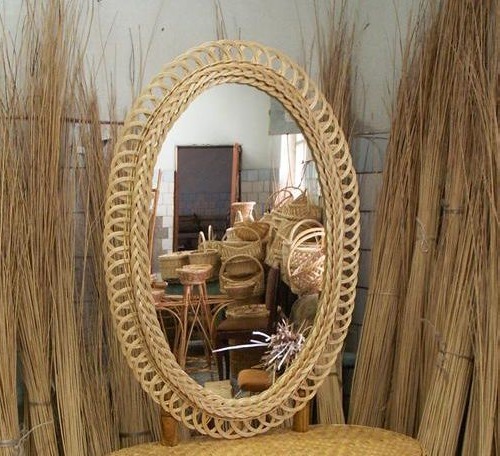 During excavations in the tomb of Tutankhamun were discovered two weaved chairs, well preserved and look quite modern. 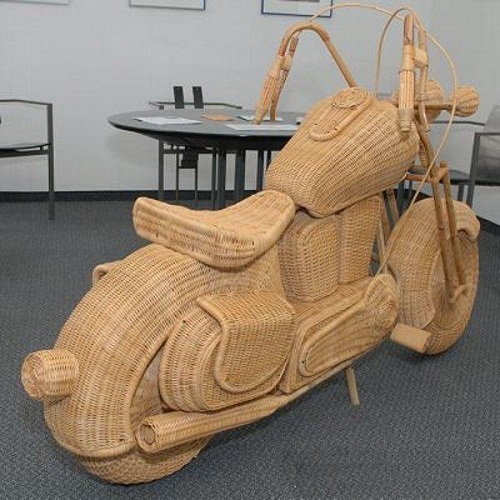 In ancient Rome, the patricians lay on couches made ​​of willow twigs. 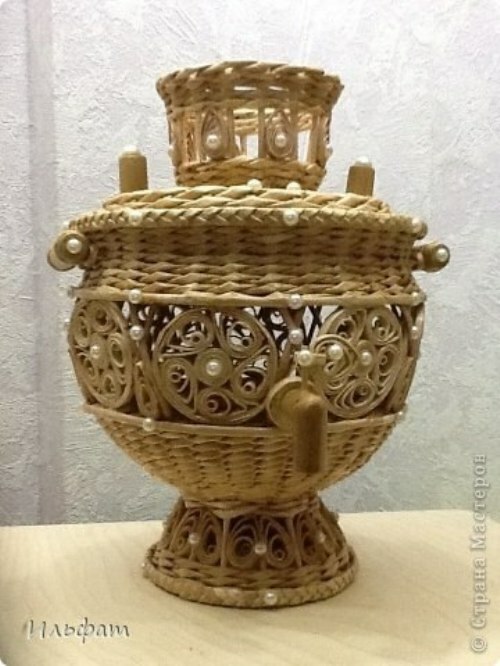 One of them, the production of which dates from the II century AD, preserved in the museum Treves. 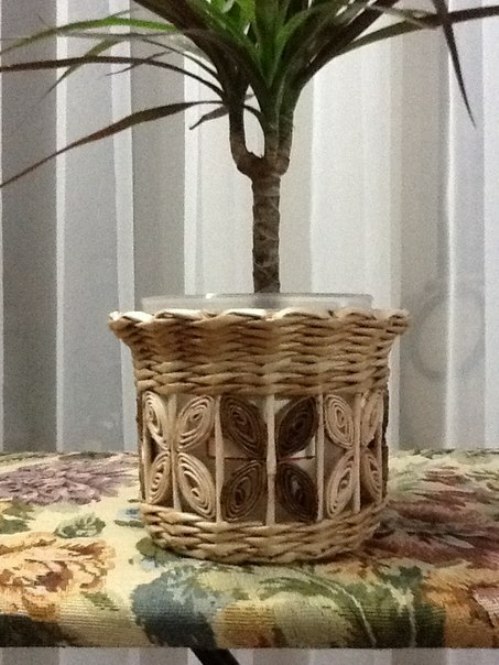 In ancient times used to weave the branches of trees and shrubs, especially willows, roots and other materials. 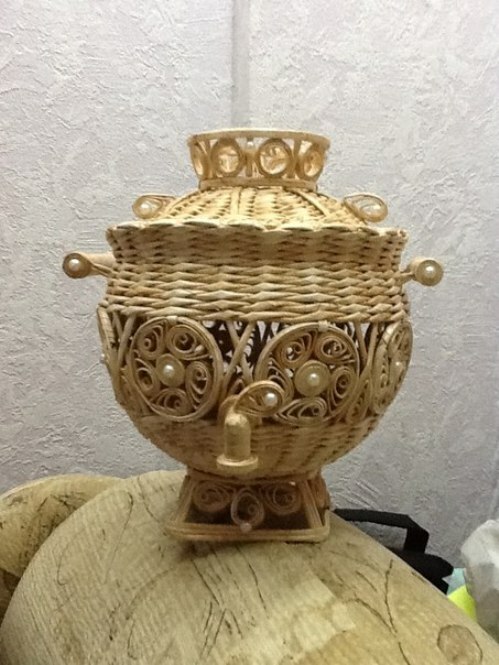 Artists in the Renaissance retained in their paintings and interior perfection of life, woven from wicker: carts, cradles, baskets, boxes, bread bins. 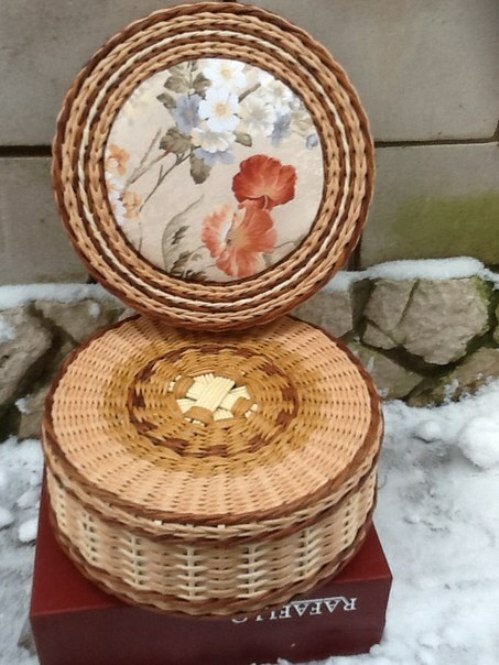 In Russia by 1913, engaged in weaving 37 thousand artisans in 17 provinces, and in 1920 issued a catalog which offers carefully designed bookshelves, chairs, tables, benches. 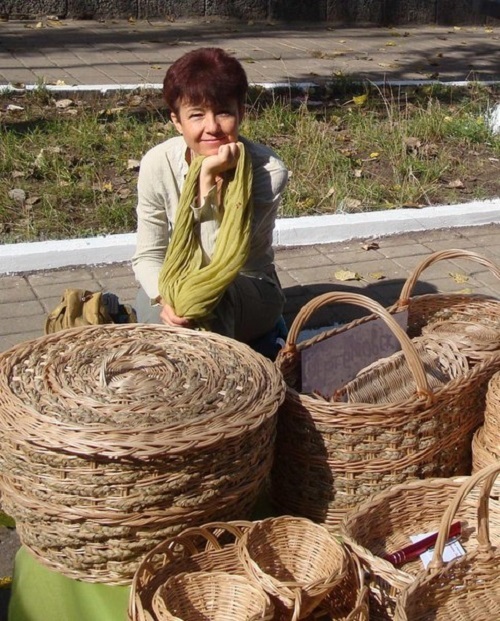 In 1840, in Nizhny Novgorod province worked about 500 craftsmen who wove in a season more than 240 thousand baskets. 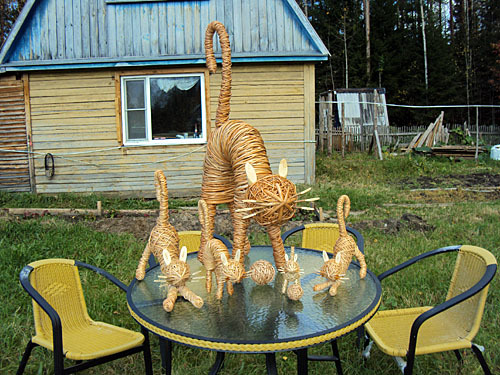 One of those places where Basket weaving is a traditional craft is considered Odintsovo district, Moscow region, where there are whole villages and towns which names are associated with basketry. 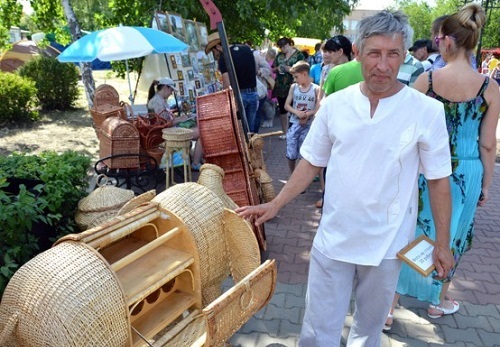 Basket weaving is now lost its former popularity, but still is a favorite pastime of many villagers from the Danube to the Volga.